M3TECH (0017) succeed breakout ascending triangle resistance level. 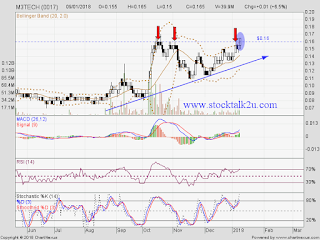 Immediate resistance @ RM0.17 level. 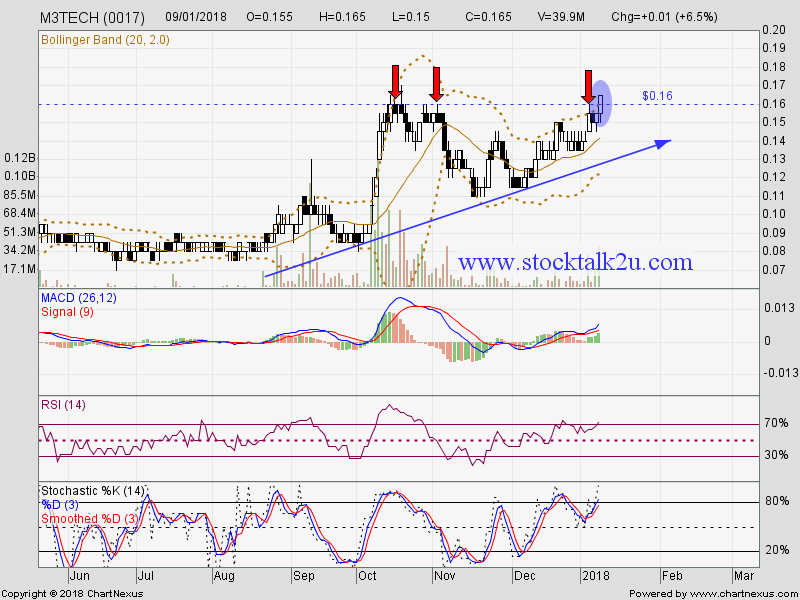 If able breakout RM0.17, higher high is confirmed, uptrend will resume. Immediate support @ RM0.15 level.